Public Health Laboratories Division (PHLD) provide laboratory support to public and private sectors for timely detection, prevention and control, of infectious diseases during outbreaks and epidemics. This division serves as the only WHO Collaborating Centre for Research and Training in Viral Diagnostics in Pakistan since 1980s. 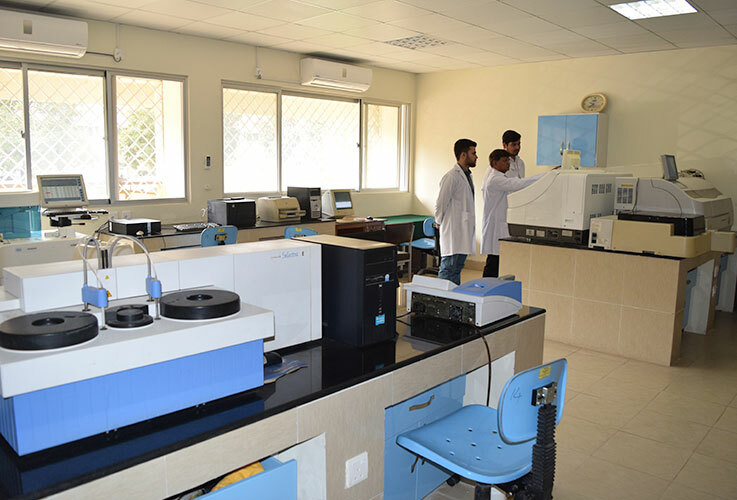 PHLD houses one of the six (06) Regional Reference Laboratories for Poliomyelitis. Also executing lab-based surveillance programs on Human-Avian-Swine Influenza and Bacterial Meningitis with the technical assistance from Centres for Disease Control (CDC) Atlanta, USA and WHO.This Division comprises of the Departments of Virology/Molecular Biology, Microbiology, Hematology, Histopathology, Cytogenetic, Chemical Pathology, Immunology, Electron Microscopy, Reproductive Physiology and Parasitology. This Division is providing necessary diagnostic facilities for zoonotic diseases.The PHLD delivers routine and specialized laboratory services for public health issues as the apex national reference public health laboratory in Pakistan for communicable diseases including Dengue, Avian Influenza, Congo, SARS, Hepatitis, HIV/AIDS and Polio, Measles etc. The department of Virology is one of the oldest departments of NIH and was established in late 1970s to provide research on human viral diseases. Currently, department is engaged in research, Patient-care related diagnostic services and reference activities related to Polioviruses, entero-viruses, influenza viruses, measles virus, rubella virus, Hepatitis A, B, C viruses, hemorrhagic fever viruses, arbo-viruses, neuro-viruses, etc. The division has established eight lab-based Influenza Surveillance sentinel sites i.e. Islamabad, Lahore, Karachi, Peshawar, Multan, Quetta, Gilgit and Muzaffarbad (AJ&K) for influenza surveillance and diagnostic services. Influenza strains are also been provided to for annual flu vaccine composition for the region. The trends are regularly been provided to fluent website maintained by WHO.